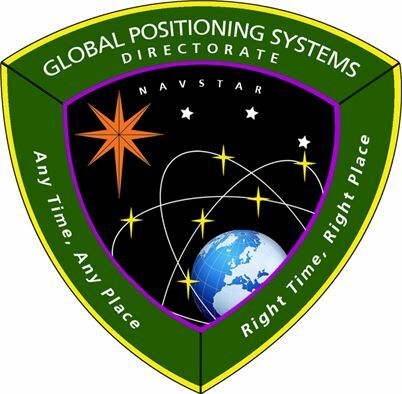 The Department of Defense (DoD) is less than three weeks away from a decision on whether to retain, cancel, or change its contract to develop a new GPS ground system. A source familiar with the program said they believe the Air Force will stick with the program but will recast it to fit more closely with DoD’s budget realities. The GPS Next-Generation Operational Control System or OCX, for which Raytheon is the prime contractor, has been over budget and behind schedule for years. That is due, according to the Air Force, to inadequate systems engineering at the beginning of the program, high defect rates in the Block 0 software, and designs for Block 1 that required significant rework. As a result of the program’s troubles, Secretary of the Air Force Deborah Lee James declared a critical Nunn-McCurdy breach on June 30, which will result in automatic cancellation of OCX unless Secretary of Defense Ashton Carter certifies the need for the program to Congress by October 13. 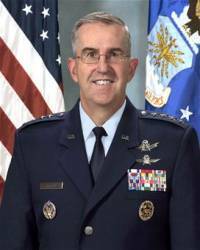 Gen. John Hyten, currently the head of Air Force Space Command, told the Senate Armed Services Committee during his September 20 confirmation hearing to become commander of U.S. Strategic Command (STRATCOM) that he was dismayed at the state of affairs. "I was quoted in the press, Senator, calling that program a disaster," he said in response to a question from Sen. Thom Tillis, R-North Carolina "I think any program that’s five years late and a billion dollars over budget meets the definition of disaster. It’s horrible. And it’s embarrassing to me that we find ourselves in that kind of position in today’s day and age. We should not have that kind of program. But we do." "The concern I have," Hyten said, "is the legacy [GPS Operational Control Segment, or OCS] program we have right now has significant information assurance vulnerabilities. Basically we’re plugging those holes as fast as we can, and the best way to do that is with people. And, as you were talking about, people are our most valuable resource — and we have to divert a lot of people to secure that critical capability for the United States and the world. The OCX program would fix those problems." Hyten said he is looking to Frank Kendall, the under secretary of defense for acquisition, technology, and logistics, for a recommendation. Kendall has been heading up quarterly Deep Dive reviews of OCX since the end of last year and is key to the ongoing evaluation. He was expected to make a recommendation by the end of September, although a spokesman told Inside GNSS that that timetable might stretch out a bit. Hyten said he would back Kendall’s decision, whatever it is. "If he thinks the program will succeed, I will support it," said Hyten," because we need capability desperately. If he thinks it will fail, I will support the termination of that program. It’s up to him. Right now he believes that program will succeed and they’re doing three-month Deep Dives in that program to make sure that it will. But we’re going to watch it very closely all the way through." A source familiar with OCX told Inside GNSS that DoD would stick with the program but change it to better fit with what it can spend. They’ll "probably more stretch out the schedule than simplify the software," said the source, who spoke on condition of anonymity to be to discuss the program candidly. The issue then, the source said, is when OCX will finally be done — that is, when will the system be fully operational. The repeated delays are worsening a separate risk, they pointed out, that the information assurance standards being used for OCX will become obsolete, triggering a need to retrofit the program. "In many cases you’re going to have to go back and make major changes in order to come up and meet the new standards that are going to be required from DoD on information assurance," the source said. "So, they’ve made it a poster child only to put old clothes on it." If Hyten takes command of STRATCOM, he may well be dealing with OCX again as space operations and U.S. Cyber Command will be in his portfolio. Given that new role, what he told the committee may give would-be OCX hackers reason to pause. "I would like to get to the point where we treat [cyberspace] just as a domain where we conduct operations," he said in response to a question from Sen. Joe Donnelly, D- Indiana. "I think it’s essential that we look at cyberspace as a place where bad actors are. We need to be able to identify them. And if they are threatening the United States, we need to be able to eliminate that actor from cyberspace. It’s the same as any other domain."